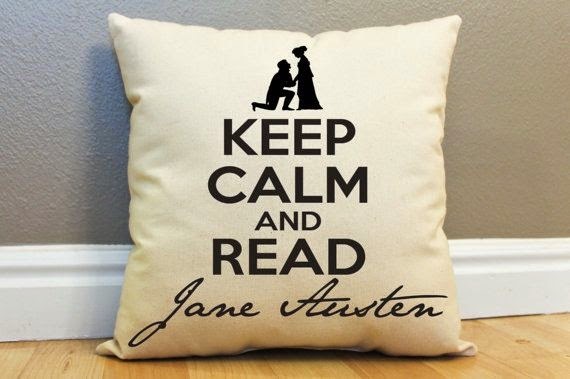 I didn't really enjoy Jane Austen until I was older. True Story. I'm loving bookish things on Etsy right now. If you find me* on there, I favorite bookish things. Any recommendations for me to check out? *By find me, I really mean find me. I'm new to this thing and don't know how to tell you to befriend/find me if there is such a thing. Eek! I love that pillow! So cute XD I'll try to find you on etsy but I'm new to it too! Hey Alexis! I hope you're doing well! 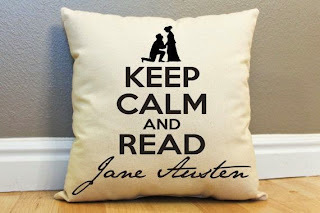 Truth be told, I haven't read Jane Austen since I was in high school and I still haven't appreciated it. BUT, I do adore that pillow! Isn't etsy great? It basically planned my wedding for me. Haha!